It may be the more crowded time of the year to visit Jamaica, but November through April is usuall yunderstood to be the best time. The reason for this are two-fold. The Jamaican weather is a bit more moderate through this time, which is considered to be winter in Jamaica. While winter for many other parts of the regions of the globe where many visitors to Jamaica originate is also during this period. So those wishing to escape the cold at home, find that the Jamaican "winter" is just the ticket. However, the summer time in Jamaica is very moderate amd not too hot. Temperatures rarely rise above 85-90 degrees, and waters are warm and inviting. The capitol of Jamaica is Kingston, which offers many popular yearly festivals and cultural events that are host to people from all over the globe. Probably most popular among the staple attractions of Kingston is the Bob Marley Museum. While Kingston does offer many atractions, there are many parts of Kingston in which the visitor should be wary. Poverty and gang violence is an unfortunately common in many parts of Kingston. Other popular destiinations on the island of Jamaica include Montego Bay, which lies on the Northern coast. Locals often refer to Montego Bay as "MoBay". Many international flights arriving on the island will do so in Montego Bay's Sangster International Airport, where you can easily find a cab driver eager to take you to your destination. Montego Bay is known to many Jamaicans as the spot where the tourists go, and therefore has a somewhat high number of indesireable types who seek to prey upon them. Travel a bit more west and you'll come to the jewel of Jamaica - Negril.Negril is located on the western coast of Jamaica, approximately 50 miles from Montego Bay. 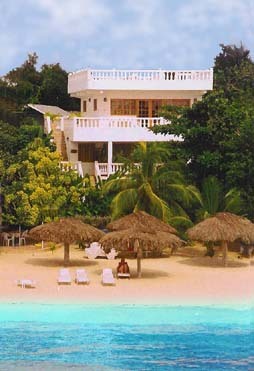 Visitors to Negril will usually arrive on an international flight to Montoego Bay. A taxi ride to Negril from Montego Bay will cost the visitor about 60-90 American dollars, and is quite a scenic trip. This 1.5 hour trip winds along the North coast of Jamaica and offers some stunning views of the sea along your way to Negril. Negril is home to a number of large all-inclusive resorts, where many tourists bottle themselves up and rarely step outside of the resort grounds. This however, denies the visitor the experience of what Jamaica is really all about. Local cuisine, crafts and shops, fishing and boating tours, and of course the Jamaican nightlife. Negril has many clubs along Negril Beach. Most within walking distance from quaint beach villas. 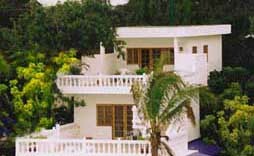 The Beach House Villas and Hotel is situated in the center of 7 mile Negril Beach, and offers easy access to Negril's many restaurants, shops and clubs.